Starting on the mild hills around Melrose at an elevation of 411m, it is hard to believe the gentle creek running through the centre of town could be anything more than something for kids to dip their toes in. But how wrong could we be ? At a total length of 213km and a descent of 380m, the Willochra Creek heads north into the Flinders Ranges before heading west and exiting into Lake Torrens, leaving along its way many scenes of beauty and devastation. 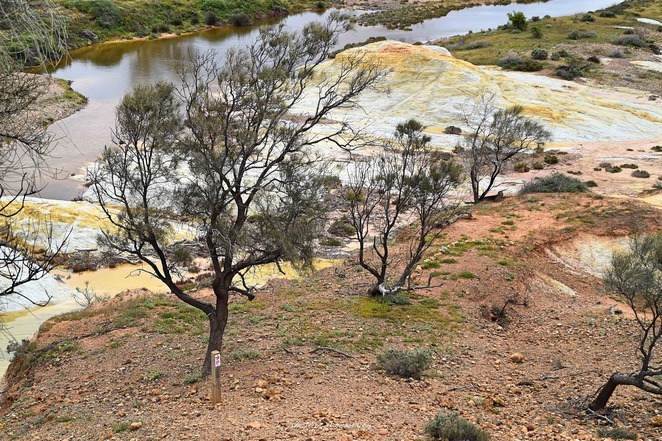 Willochra, an aboriginal word meaning flooded creek where green bushes grow, was discovered in the 1840's by Thomas Burr, with a town being settled in the 1850's. 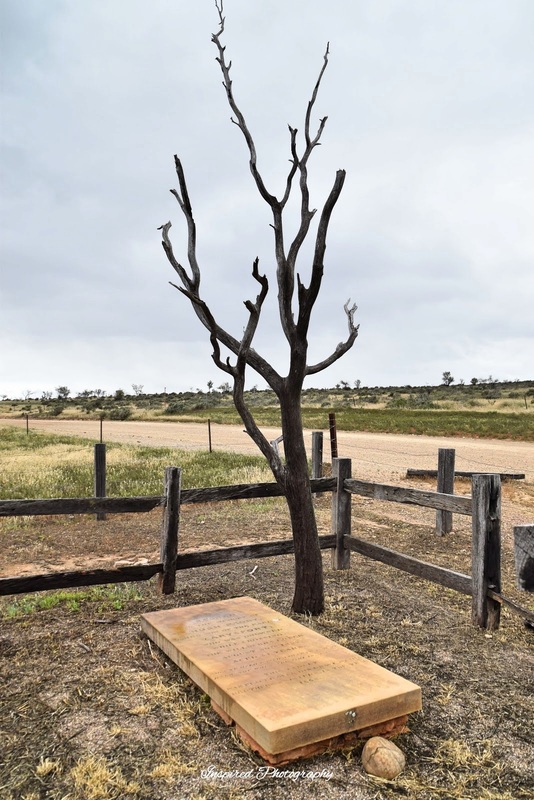 However this came to a screaming halt in the early 1860's when a series of extended droughts saw the decline of the town, which was formally abandoned soon after Goyder's survey in 1865 identified that the Willochra Plain was primarily located in an area of low rainfall. Having travelled to the region many times in recent years while completing the Mawson Trail and the Heysen Trail, the ephemeral Willochra Creek has been one of immense interest for my touring parties. 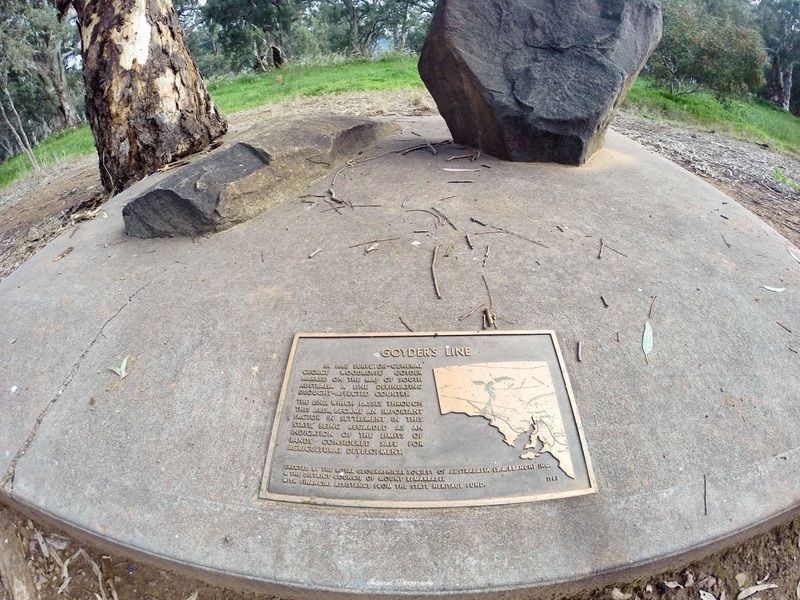 From Melrose, where kids dip their toes in the lightly running and shallow creek, the Willochra Creek heads north where a monument reflects on Goyder's 1865 efforts and the subsequent creation of Goyder's Line. 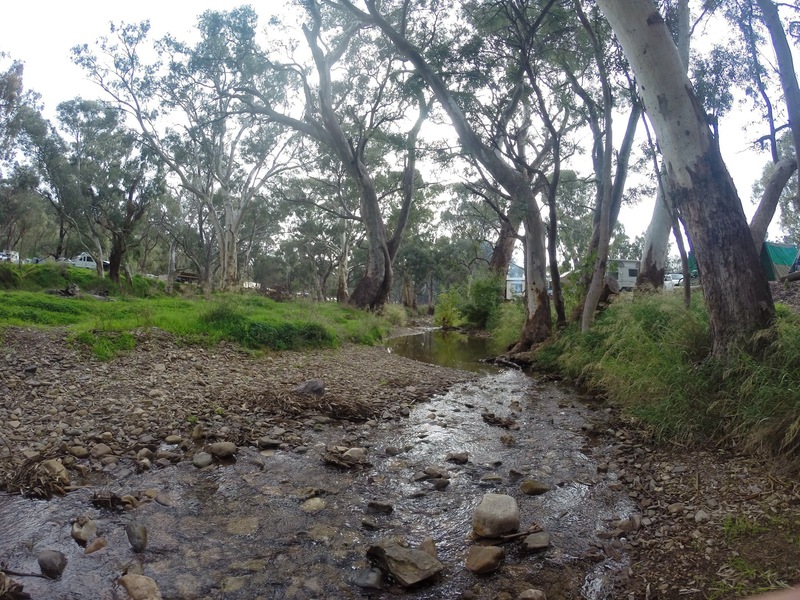 Beyond this, the creek is replaced by a creekbed of pebbles, stones and river redgums, and the occasional pond of water, as it winds its way through the Willochra Plain in a northerly direction. 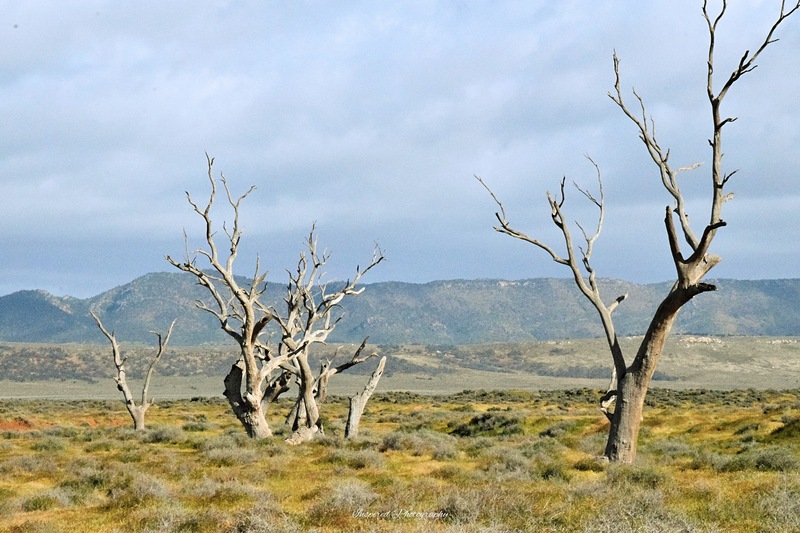 But this dry outback creekbed is not always like this. 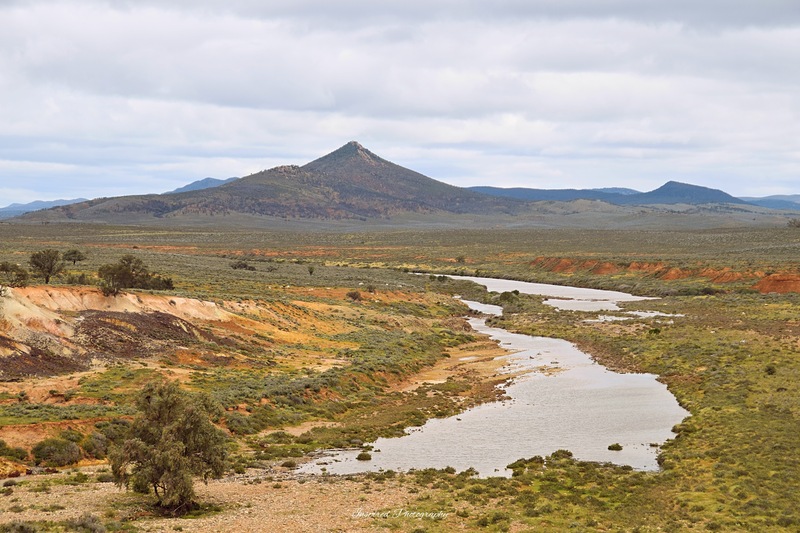 Tropical rains often dump huge volumes of water on the predominantly dry and hard Willochra Plain in a very short space of time, resulting in outstanding flows of water through the Willochra tributaries and into the Willochra Creek itself. The Boolcunda Creek, just north of Quorn, is one that is a barometer for locals in terms of water levels, and having been there during February downpours in the past, I can assure that when the Boolcunda is running, it is time to make sure you've got your running shoes on ! Height indicators and warning signs exist on most parts of the Willochra Creek today, perhaps in recognition of the unfortunate accidental death of Hugh Proby, who lost his young life in the raging Willochra Creek in 1852 near the now abandoned town of Simmonstown. Proby's Grave is nearby close to the spot where his body was eventually recovered. 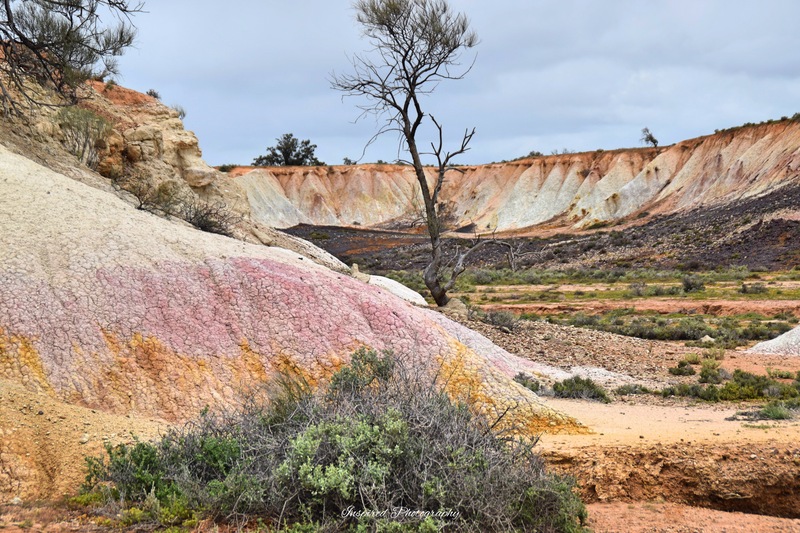 It is near this part of the Willochra Creek that is one of my favourites where a short 2km walk along the Heysen Trail from Partacoona Station brings walkers to an oasis of ochre coloured cliffs that have been carved out by vicious waterflows thousands of years ago. Today the flows are a bit more mellowed, and this area of the Creek holds a constant pool of water in numerous ponds. 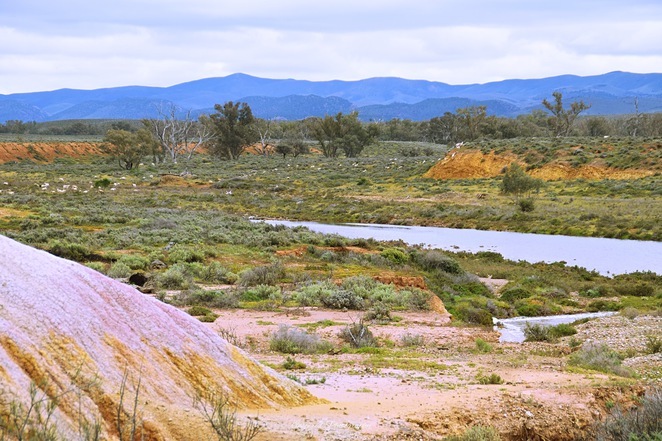 The Willochra Creek is visible in numerous places through the Southern Flinders Ranges and is loosely followed by the long distance Heysen Trail and Mawson Trail, both of which cross the creek numerous times. Access is also available along many of the local roads, and picnic facilities are prominent in several places under some magnificent river red gum trees. Access is available all year round, but please be careful when visiting during heavy rains - the height indicators are real. It must look magnificent right now....have seen a little bit of it..way back in the days I use to go up that way from time to time...really enjoyed reading your article and seeing some great shots you took along the way.